With springlike weather in the air, more of us will be strolling in the park. Just a reminder to us all, please respect your park and your neighbors. 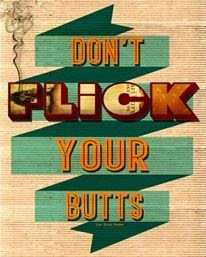 For the smokers out there.... Don't flick your butts!